In an increasingly competitive world, the United States must invest in its best scientists, researchers and entrepreneurs so that they innovate here, make things here, and create good paying, high quality jobs for middle class families. The Department of Commerce and its bureaus are supporting and fostering innovation at all stages of product development, from original research through to final manufactured goods. Commerce’s Economic Development Agency has launched two grant challenges, the i6 Challenge and the Advanced Manufacturing Jobs and Innovation Accelerator, to move ideas from the lab and shop floor to the marketplace at an accelerated rate. 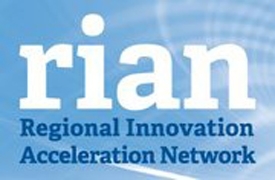 Supporting this work is the Regional Innovation Acceleration Network, a web-based tool to help economic development professionals promote entrepreneurship, business development, and technology commercialization in their region. In April 2010, the Commerce Department launched the Internet Policy Task Force to ensure that the Internet remains open for innovation. In doing so, it has produced the Consumer Privacy Bill of Rights, made important steps forward for a National Strategy for Trusted Identities in Cyberspace, started a conversation about privacy concerns within mobile apps, and worked to combat Botnets that threaten internet security. To ensure continued Internet security, Commerce has opened a Cybersecurity Center of Excellence. Commerce’s National Telecommunications and Information Administration funds the deployment of broadband infrastructure, enhances and expands public computer centers, encourages sustainable adoption of broadband service, and develops and maintains a nationwide public map of broadband service capability and availability through the Broadband Technologies Opportunity Program. The National Institute of Standards and Technology (NIST), which promotes U.S. innovation and industrial competitiveness by advancing measurement science, standards, and technology in ways that enhance economic security and improve our quality of life, has issued Health IT standards, Smart Grid standards, and a Federal Cloud Computing Roadmap. Once entrepreneurs develop an innovative idea, the Commerce Department works to protect their intellectual property. Under the America Invents Act, the United States Patent and Trademark Office (USPTO) has begun a series of roadshows to introduce inventors and innovators to the patent process. To improve innovation, the USPTO is opening four satellite offices for the first time in its history. The USPTO and NIST offer the IP Awareness Assessment Tool. This online portal poses a series of questions to inventors about their technologies and business model, and provides them with information about patenting strategies and IP protections at their disposal. Innovation is the catalyst for the recent resurgence of American manufacturing and NIST’s Advanced Manufacturing Program Office enhances technology transfer in U.S. manufacturing industries to help companies overcome obstacles to scaling up production of new technologies. NIST’s Manufacturing Extension Partnership (MEP) offers a Buy American Supplier Scouting program that identifies U.S. manufacturing capabilities that meet the Buy American Provisions of federal funding programs. NIST’s MEP and the International Trade Administration’s Commercial Service work together on ExporTech to provide companies with customized export action plans. Once manufacturers start exporting, the USPTO offers its IP Attaché program, which allows manufacturers to enter the global arena by stepping up IP enforcement efforts. One of the keys to strengthening the economic leadership of the United States is finding meaningful ways to drive competitiveness and innovation to create jobs. These investments by the Commerce Department and its bureaus are tangible evidence of the commitment to do just that.